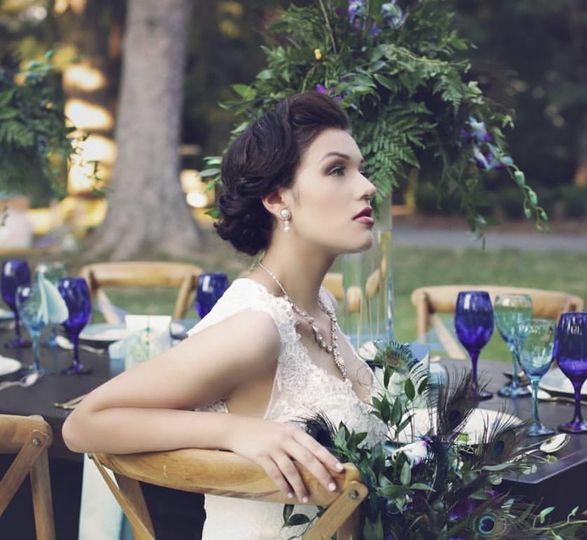 Liz Miiller - Beauty & Design is a wedding stylist based in Berryville Virginia. 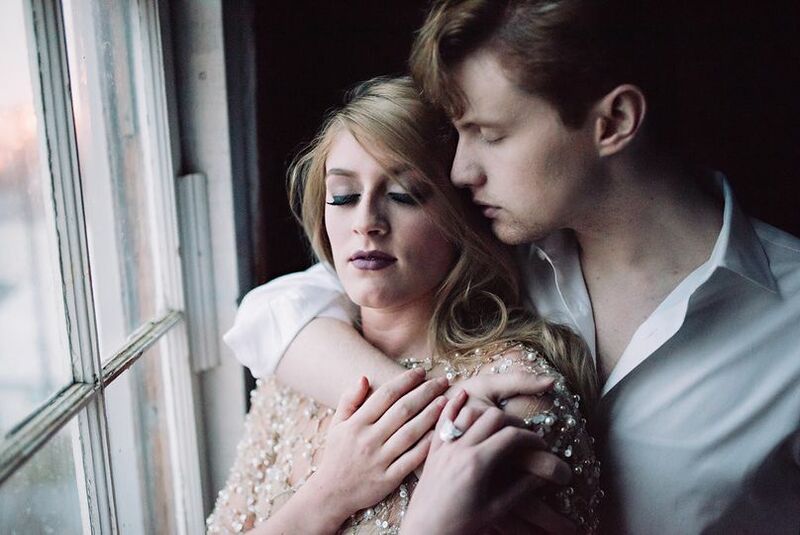 Specializing in hair and makeup services, Liz focuses on precise applications that are based on the unique facial features of each client. She renders classic, vintage-inspired looks. Owner and stylist Liz Miiller has worked for more than ten years in the industry. She has a Bachelor of Fine Arts in traditional 2D animation, with a strong focus on storyboarding and conceptual design, from the School of Visual Arts in New York City. 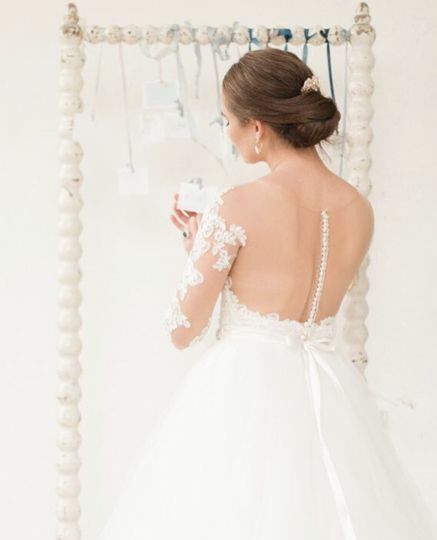 She has worked with clients ranging from weddings to video production, and has been featured in many blogs and publications related to weddings and style. Liz Miiller offers consultations beforehand, which eliminate potential problems and makes sure each look meets her client's expectations. She provides on-site hair and makeup services for the convenience of the client, and adds multiple stylists for large groups. Liz was wonderful to work with for my October wedding. 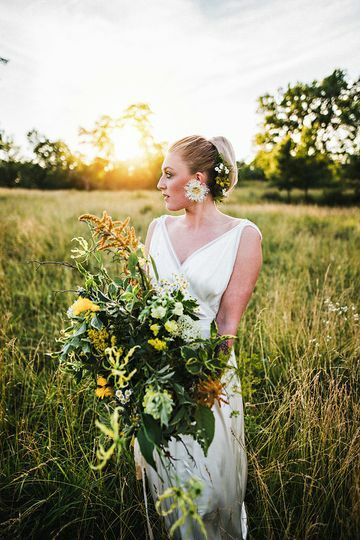 Liz was extremely quick and responsive and wanted to make sure that I felt comfortable and confident on my wedding day. I'm super happy that we did a trial beforehand and Liz was wonderful in ensuring that I was happy with my final hair style. She also come up with the idea for my hair, a sidesweep, and I loved it. In short, I highly recommend working with Liz who is funny, responsible, and down to earth--she kept me sane the day of! Liz is the BEST makeup artist and hair stylist ever. From the beginning, she took her time to explain everything and checked in with me until the big day. Our initial phone call was very thorough and she answered all my questions and addressed all my concerns. The trial went better than ever- she did an amazing job with my hair and makeup and she even traveled to me! Liz took the time to listen to what I had to say, especially since I expressed concern about a previous makeup trial where the makeup artist turned me into a clown and didn’t take into account anything I was concerned about (I typically don’t wear makeup on a day to day basis and can’t stand how it feels on my face so I wanted something that would be more natural but still made a statement). She asked me questions about my skin and if I had any sensitivities and explained what she was doing throughout. She even gave me some pointers and makeup recommendations as well! The night of my trial, my skin reacted to some of the makeup ingredients. I told her about them and she took note and made sure not to use harsh products on the day of. She even offered to get some of the products that I had used before that didn’t irritate my skin. As for hair, we did a half down half up style and an updo to see which I liked better (it was nice being able to see both!). 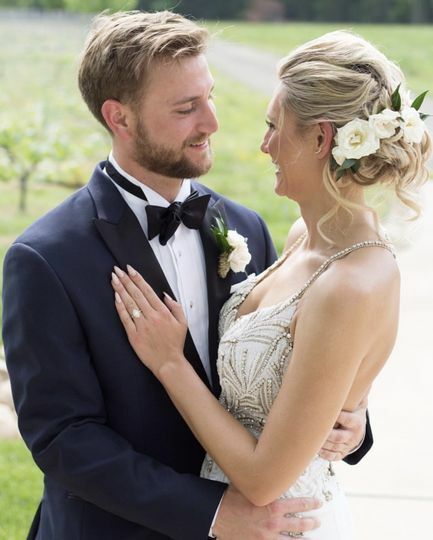 On the wedding day, she did an amazing updo and airbrush makeup. She and her assistant arrived at the hotel on time to start getting my bridesmaids and mom ready and then traveled to the venue to finish everyone’s hair and makeup. I seriously couldn’t even feel that I had any makeup on my face and my hair didn’t feel heavy with all the products in it (something that was very important to me). Liz stayed til after the ceremony to touch anything up and even gave me a touchup kit for touchups after she left. I highly recommend Liz and am so glad she was part of my day! 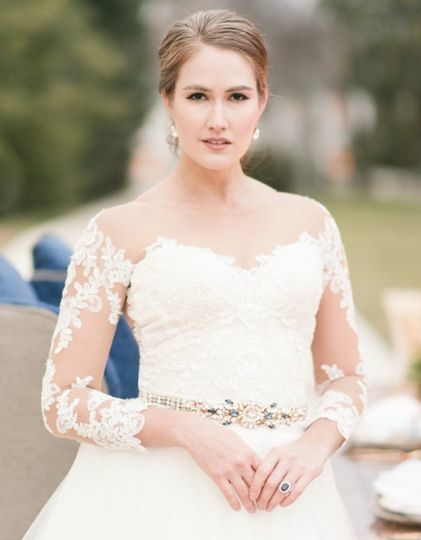 Liz was a pleasure to work with and did an incredible job on my natural bridal makeup. I would highly recommend her! I lucked out that she was available and could travel to my wedding in western MD.